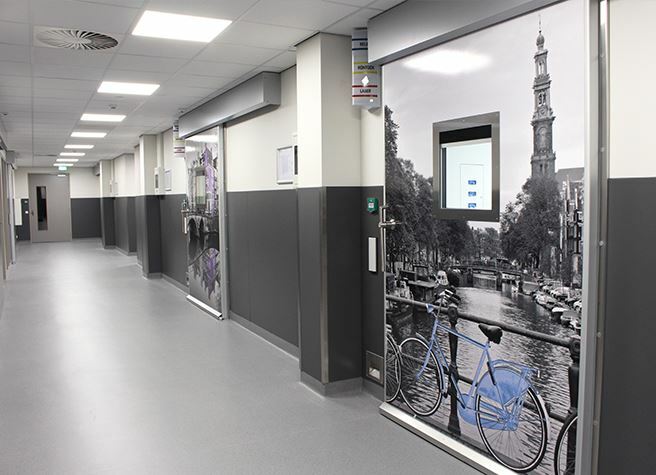 As a result of limited capacity at their Hilversum location, Equipe decided to build a state of the art OR complex in an office building in Amsterdam to cater to the growing demand in the region. The transformation from office space to a health clinic is executed by the Royal BAM Group in cooperation with Interflow. 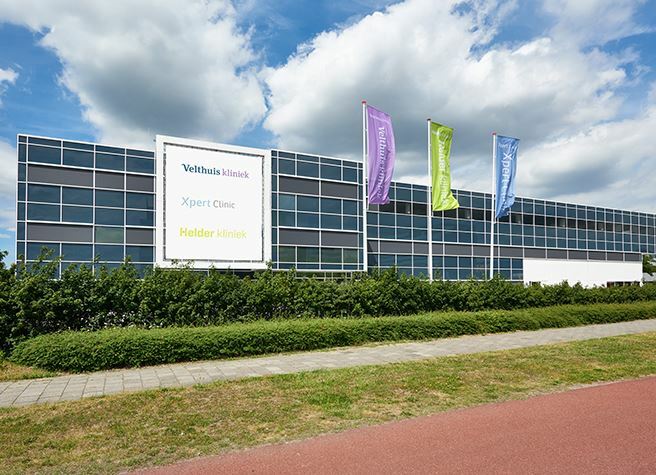 Equipe is a group of private health clinics operating in The Netherlands. 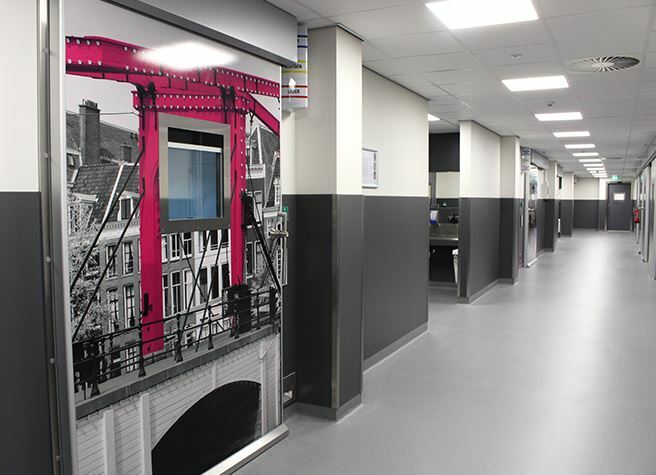 The slogan of Equipe is ‘Healthcare can always be smarter, better and friendlier’ and this is also applicable on the project in Amsterdam. The building is therefore furnished with state of the art equipment. 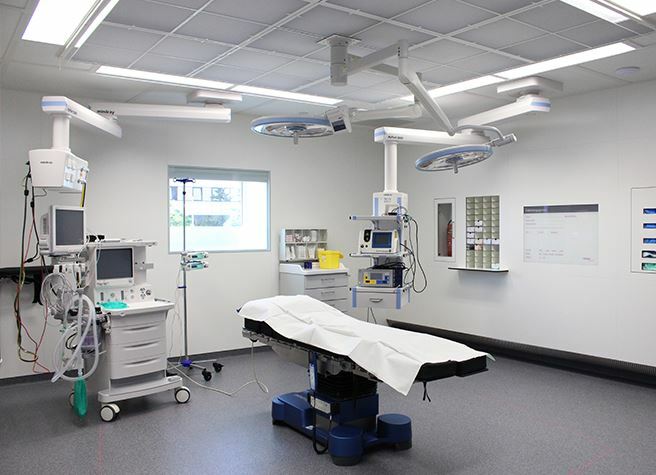 The OR complex consists of four Flex-OR’s with holding, recovery, treatment and patient rooms. A Flex-OR can be adjusted quickly with the newest technologies. Interflow created OR’s with very high noise reducing capacity of 42dB(A) and a large protected area of 9,3 m2. 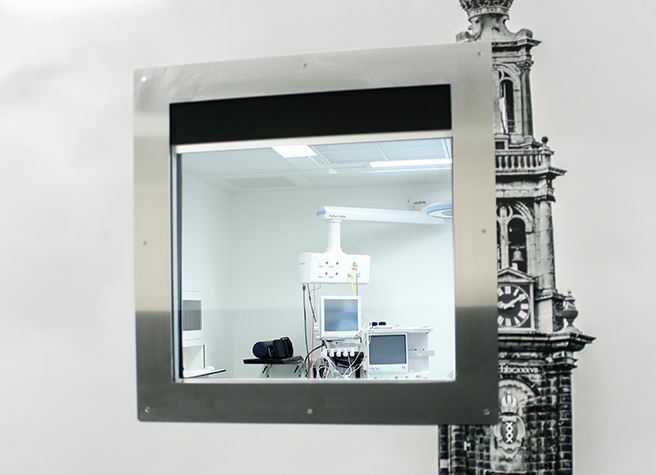 The OR’s are provided with hermetically sealed Metaflex door systems including lead against radiation. 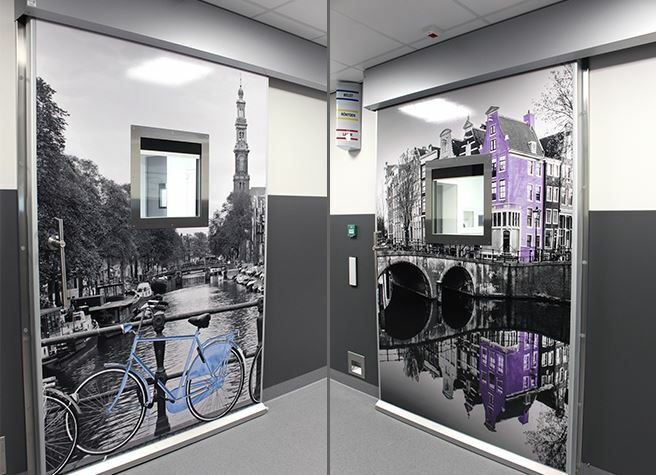 Pictures of Amsterdam are added on the doors with Imagine door foil. This gives an extraordinary appearance to the door. Watch the doors (from 6.47 min) in the Dutch TV program 'Het zit in de familie' from RTL 4.